Graham Burgess will lead us around Cheddar Gorge and the Mendip Hills following a route used several times before on Club outings, most recently last September and always great fun – ask Sonny! The route is only around 21 miles, but don’t be fooled into thinking it will be a breeze…! The climbs are sharp and some of the descents are loose, rocky and a bit testing, especially if it’s wet on the day (sense of humour strongly advised). 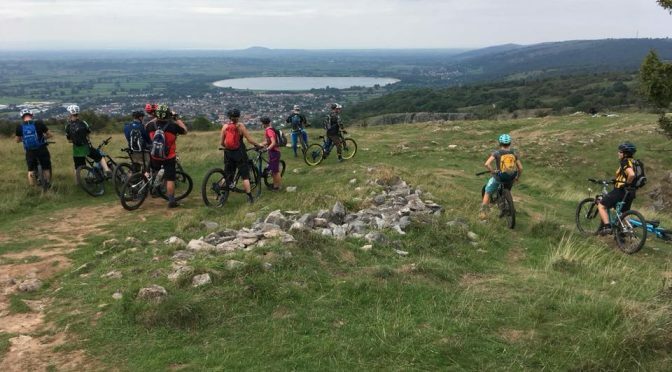 The route starts from the Swan Inn, Rowberrow and quickly heads off-road into a bit of a woodland climb followed by a long, fast rocky descent all the way down into Cheddar where we can stop for a quick cuppa (last chance saloon until end of ride). Then it’s off up the Gorge road climb – which is steady but long – and onto the top of the gorge then all the way back down again on another fast, rocky, rooty little number. This might not come as a surprise, but… it’s then another big climb back up onto the moors (expect to see wild ponies) for some more fun before the last descent back down again towards Rowberrow. Whilst not really a novice ride due to climbs and technical descents, the ride is open to anyone who feels like a challenge; no-one will be left behind and we can have plenty of stops as needed. Be there and ready to ride for a 10.00am departure. Bring food and drink, appropriate clothing for a day’s ride (it can be exposed up on top of the hills) and spares. Shops/Pubs/Cafes: Pub at the end, cafe stop en-route.